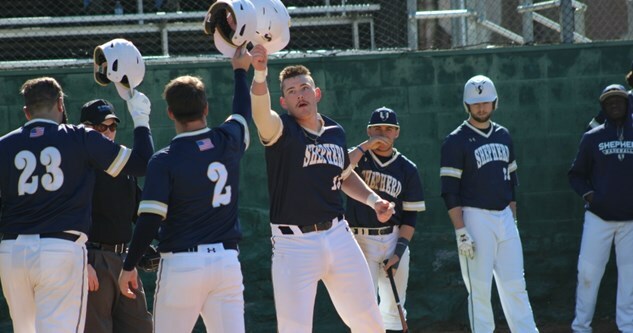 Shepherd's batters, pictured here in a prior game, played at a high level offensively against Concord, scoring 13 and 18 runs, respectively, in the two-game sweep of the Mountain Lions. 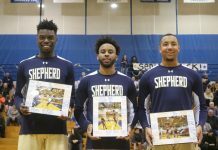 (Credit: Shepherd University's Athletics Department). In the opening 13-2 win of the Friday double header vs. Concord, Shepherd was able to jump out to an early lead and ride that momentum through to the final out. The first at bat for the Rams saw them go up on a quick 2-0 lead off a two RBI double from catcher Christian Hamel, scoring center fielder Brenton Doyle and right fielder Nick Atkinson. Atkinson was one of the top performers in Fridays games as his momentum from receiving MEC player of this past week continues totaling three hits, three runs, and an RBI in the first game alone. The Rams were able to put up five runs in the opening inning, putting all the pressure on the Concord batters, but were retired in four batters by Rams starting pitcher Ryan Potts, who secured another win to improve his record to (6-1) on the year. Thanks to great defense by the Rams, they were able to go up 11-0 by the end of the third inning with a two RBI single by Brenton Doyle, a RBI single by Trenton Burgeen, an RBI single by Nick Atkinson, and lastly another two RBI double by Doyle. The Shepherd offense scored its 13th and final run of the double header opener in the fourth inning when third basemen Chase Hoffman belted a two-run home run after teammate Reid Entsminger reached base off after being hit by a pitch. The Mountain Lions tried out four pitchers in the opening game of the back to back but got no luck with any as starter Will Guay fell to a (2-2) record on the season. The Rams had 16 hits off the Concord pitchers in the first game alone, and the late game was no different. Concord was able to generate more offense in the late game with their nine runs, but it was still not enough to stop the Rams who followed their 13-run performance with an additional 18 runs in the night cap. 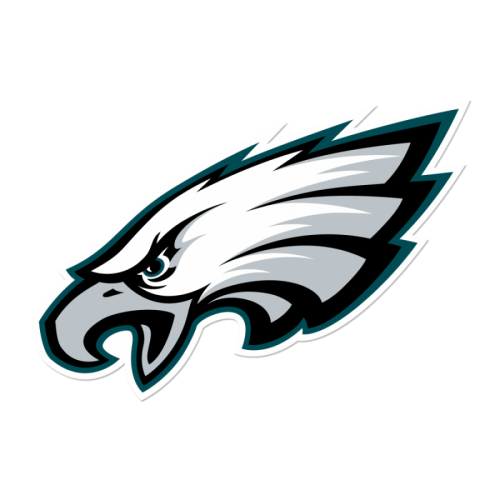 The late game was a tightly contested match until the sixth inning as both teams traded runs with each at bat as the score grew to 9-9 apiece. The first inning saw Christian Hamel and the Rams strike first on a solo home run. Hamel finished the game with two hits, four RBIs, and three runs scored. Concord responded in the first and third innings in large part due to a pair of multi-RBI home runs. Mountain Lion shortstop Chad Frazier hit a two RBI home run in the first and designated hitter Trevor Wiersma smacked a three RBI shot in the third inning to cut the lead to 7-8 off Rams starting pitcher Justin Smith. Smith received no decision for his three innings of action in the night cap. Rams relief pitcher Mitchell Johnson earned his second win on the year to improve to (2-0) as he and the Rams defense were able to hold Concord scoreless in the sixth and seventh innings while the offense piled on nine more runs. In the sixth inning alone, the Rams brought home seven runs. Hamel got his second and final hit, which resulted in another two RBIs, followed by catcher Eddie Nottingham hitting an RBI single two batters later. The very next batter left fielder Reid Entsminger was walked to set up a bases-loaded situation for third basemen Chase Hoffman. Hoffman delivered with a three RBI double, and eventually rounded home himself off an Eric Sloper RBI single to bring the Rams to 16-9 after six innings of action. 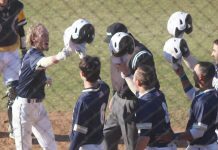 The last two runs scored by the Rams came off wild pitches by the third Concord relief pitcher Bryson Booher that game in an odd series of events. 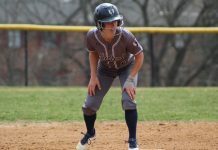 Both Hamel and Nottingham were able to advance to third base before each wild pitch presented the opportunity to take home as Shepherd added the last run of the 31-total scored against Concord. The Rams were able to play sound defense for last half inning with the Mountain Lions unable to add any runs as Shepherd continues their hot streak as it now stands at eight straight wins. With the two losses Friday, Concord’s record fell to (13-9). The Rams weekend double header action continues when they travel to Wise, Virginia, to take on the University of Virginia’s College at Wise Cavaliers Saturday, March 31 beginning at 1 p.m.